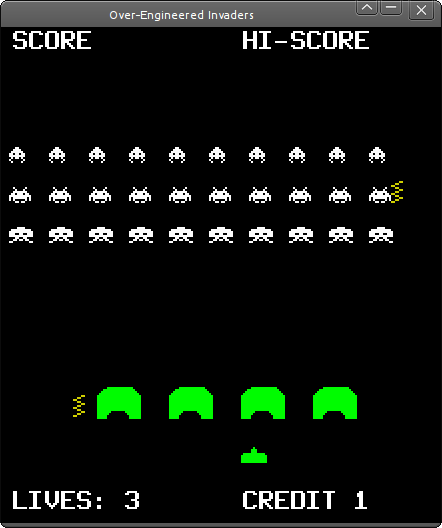 Over-Engineered Invaders is a Space Invaders clone built using an experimental framework. As the name suggests, the internals are more complicated than they really need to be. There's a resource manager, entity framework and rendering pipeline all built on top of a kernel based game engine.